Keep McAllen Beautiful invites citizens to hit the streets of McAllen April 7 to help in the Great American Clean-Up & Don’t Mess with Texas Trash-off. 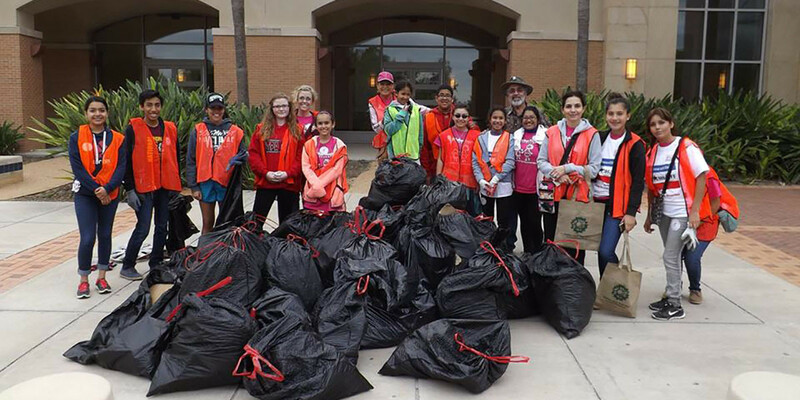 Keep McAllen Beautiful is organizing its annual Great American Clean-Up & Don’t Mess with Texas Trash-off for April 7, 2018 from 8 a.m. to noon at McAllen Municipal Park. KMB plans to hit the city’s major streets, hike and bike trails, city parks and schools to help keep McAllen looking clean and beautiful. In 2017, volunteers collected over 7,000 pounds of litter throughout the city. Volunteers who participate will be issued safety vests, gloves and trash bags. They will then assigned a designated area to pick up litter. They will be transported to their assigned sites and once the cleanup has been completed, they will be picked up. Volunteers will be treated to a free t-shirt, hot dogs, soda and various raffle prizes after the cleanup. The Don’t mess with Texas Trash-Off is the largest one-day cleanup event in the state. It serves as Texas’s signature event for the Great American Cleanup, the nation’s largest community improvement program. The Don’t Mess with Texas Trash-Off is part of Texas Department of Transportation’s litter prevention program. The program also includes Adopt-a-Highway as well as a grassroots partnership with Keep Texas Beautiful. McAllen Municipal Park is located at 1921 N. Bicentennial Blvd. To register or for more information, a volunteer form is available on the Keep McAllen Beautiful website.